Conservationists and hunters disagree over the need to protect the huge bears. MISSOULA, Mont. 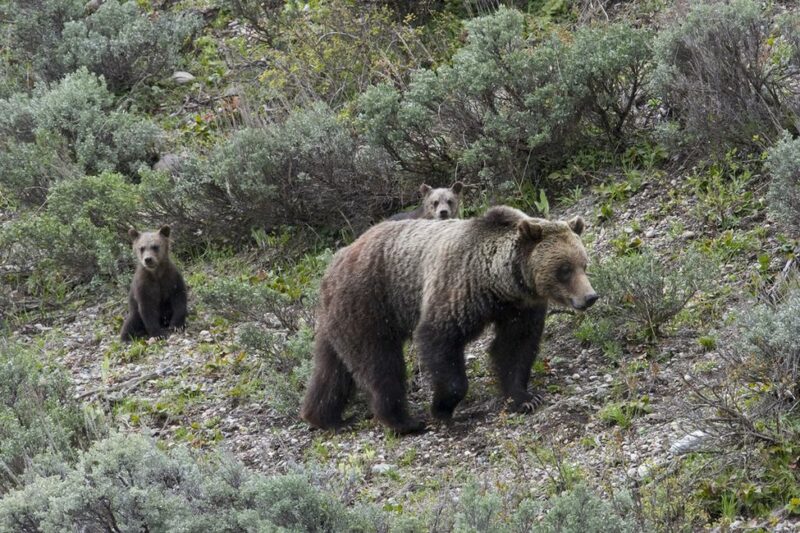 — A judge on Thursday temporarily blocked the opening of the first grizzly bear hunts in the Rocky Mountains in more than 40 years, as he considers whether the government was wrong to lift federal protections on the animals. The advocacy groups claim the U.S. Fish and Wildlife Service’s decision last year that Yellowstone grizzlies are no longer threatened was based on faulty science. They also say they don’t trust that the three states that have taken over bear management will ensure the species’ survival. They want the judge to re-classify the bears as threatened. Wyoming Gov. Matt Mead was willing to “make adjustments” to the hunting season, said Erik Petersen, Wyoming’s senior assistant attorney general. He wants the judge to leaves Wyoming, Montana and Idaho in charge of managing the bears – even if he rules that the U.S. Fish and Wildlife Service needs to revise its rule declassifying grizzlies as threatened. Idaho’s quota is one bear. Wyoming’s hunt is in two phases: Sept. 1 opens the season in an outlying area with a quota of 12 bears, and Sept. 15 starts the season in prime grizzly habitat near Yellowstone and Grand Teton national parks. One female or nine males can be killed in those areas. Montana decided not to hold a hunt this year. Bear hunting is not allowed in Yellowstone or Grand Teton.